At Future Visual, Making VR Work means solving a business case that was not possible or is significantly improved by using VR. Making VR Work means the experience in VR is better than your real life experience of the event because of the additional scenarios and situations that are available without causing jeopardy and extreme risk to life. In addition VR allows these experiences to be explored without the huge cost that would undoubtedly be associated with such experiences in real life. Virtual reality will see a growth in enterprise usage when its ability to transform work is understood. Making VR Work allows visionary and genuinely innovative industries to build solutions to problems that are consistently difficult to solve using available tools. 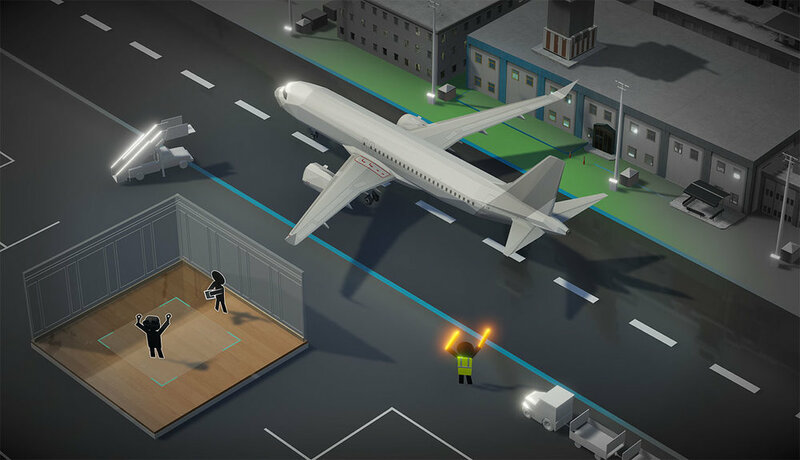 At Future Visual we were honoured to work with the International Air Transport Association in building RampVR which used VR to enable the training of ground crew in a range of different operational conditions at airports around the world. RampVR allowed trainees to select both narrow bodied (such as the A320) and wide bodied aircraft (such as the 777) and also select different atmospheric conditions, including day or night, clear visibility and low visibility. For those who read Homo Deus (the follow up to the excellent Sapiens) during the holidays the final chapters describe several possible outcomes to the rapid technological acceleration we are currently experiencing. As ever there is no defined future outcome. The future is merely the sum of the steps that we take in the now. Virtual reality is one of the core technologies that has the potential to transform multiple areas of enterprise and personal experiences in ways we have not yet realised. The communal view amongst industry experts, analysts and observers is that something amazing is going to happen, but what we are currently underwhelmed with is well developed use cases of how VR is going to transform our collective experiences. The last four years have seen rapid and impressive development in the hardware space to bring headsets to market with platforms built around them that provide an ecosystem of baseline content, content which largely riffs on existing paradigms of gameplay mechanics. 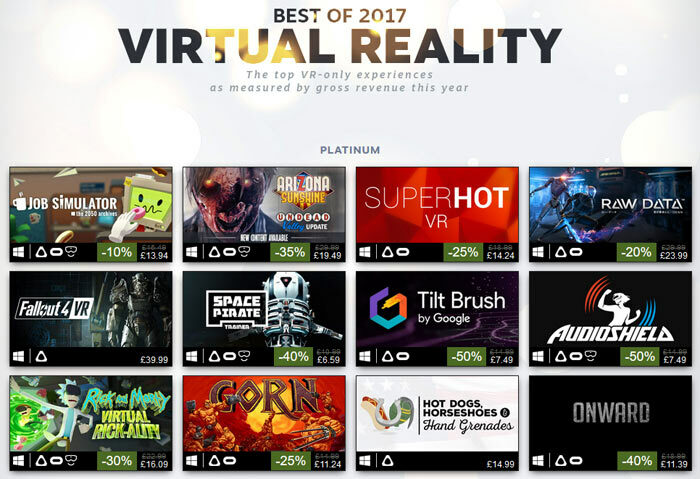 Looking at the latest figure on games sales as published by Valve there was a perceived lack of progress in 2017 for breakthrough VR titles, with many of the big sellers having been launched in 2016. So, whilst the hardware roll-out and supply across the VR industry has been achieved with tangible results, content, which is the reason for hardware adoption, has been less reliable in breaking ground. There is no killer-app, but a slow supply of fun titles. What is needed to justify our aspirations, hopes and dreams for VR is content and experiences that make VR work, the delivery of a user experience that is so undeniably superior to any other medium that it will only work in VR. In the search for this killer app, or at least a transformative approach and solution to an existing problem, the enterprise sector is the most likely market where we will see the best uses of VR making the most of its true potential. In all of these groups there is significant opportunity to improve operational, training and design-led practices. Genius-level production bringing the future of location-based entertainment to a shopping centres around the world. If you want to see how VR entertainment is going to develop in the future, go and experience this. This pan-global VR launch of the new I-PACE at the end of 2016 still stands out as a brilliant example of Making VR Work; so many boxes are ticked in this project. Car launches by their nature require extraordinary emotion which also make them pricey events, by hosting this event in VR, Jaguar were able to amplify the emotion by creating powerful visual sequences but more importantly they were able to bring journalists and influences from different global locations together to an event that was hosted by the actual I-PACE designers and engineers. In the aviation industry, having highly trained ground operations staff is critical, not only for their own well-being, but for the safety of passengers and crew at airports, as well as to protect expensive equipment. This was a challenge faced by the International Air Transport Association (IATA); the organisation that supports the aviation industry with global standards for airline safety, security and efficiency. Giving trainees access to training in a real airside space is extremely complex. As it’s a busy working area, it’s a potentially dangerous and noisy space and, coupled with the high level of security needed to access the space, training in situ is completely impractical. To address the training challenge, RampVR™ was developed in early 2017, introducing the industry’s first VR training platform for ground operations. The potential to transform business and provide solutions to hard problems is what will drive forward the enterprise adoption of virtual reality. Please get in contact with tim@futurevisual.com if you want to find out more and about Making VR Work for your business.